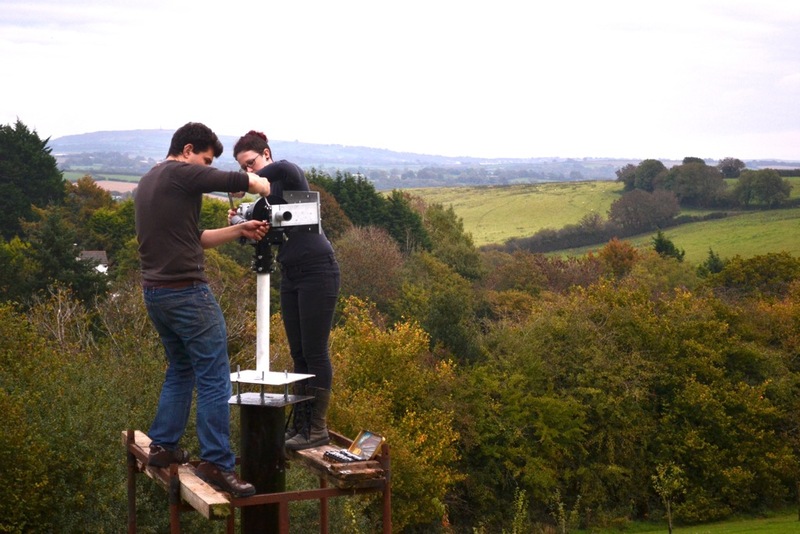 On the weekend of the 17th and 18th of October, two groups of people, headed by Freya, went down to Cornwall to make a large push toward completing construction of the radio telescope. 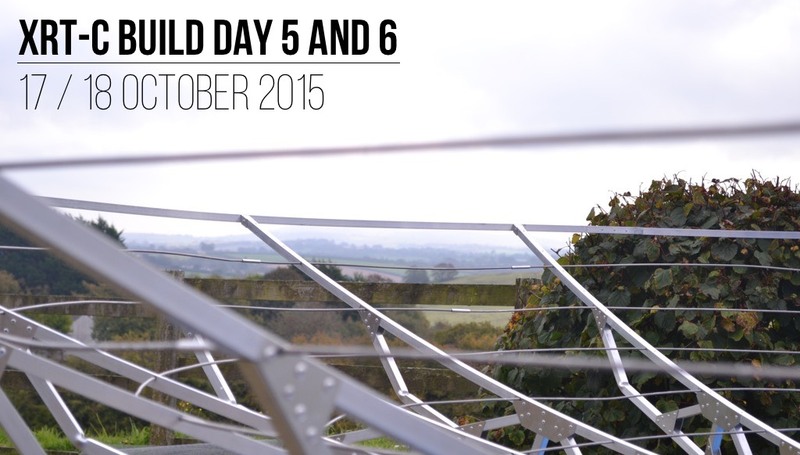 On the Saturday, the struts were assembled together into the framework for the dish. The team also put in plenty of hard work figuring out the most efficient way to mount the mesh to these struts. 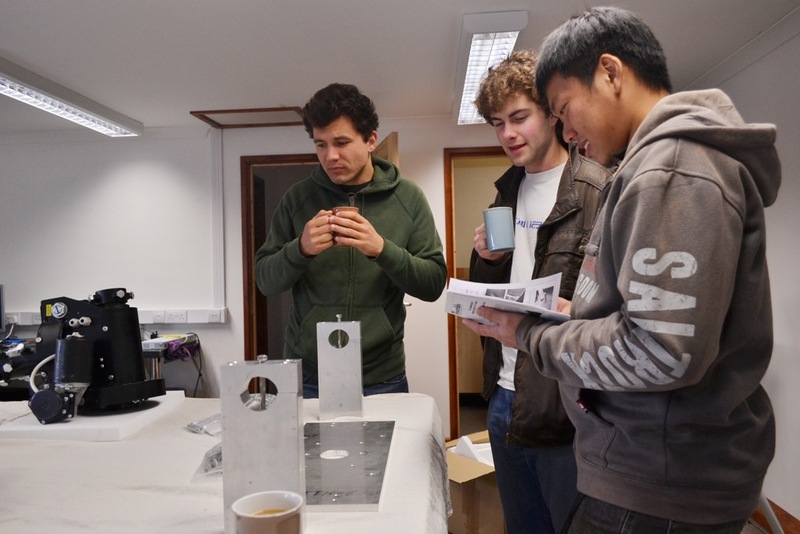 The team carefully planning the build day. The other jobs that needed doing were that the motor needed mounting to the top of the stand. Onto the motor, the crossbar needed fixing and finally the mounting plate for the dish; the final step in preparing the stand. The motor assembly ready to be mounted to the top of the stand. The dish progressed well, with two teams working in both directions around the dish to cut the mesh to the correct shape and hold it in place while the mounting strips were drilled and riveted to the structure, holding the mesh in place. 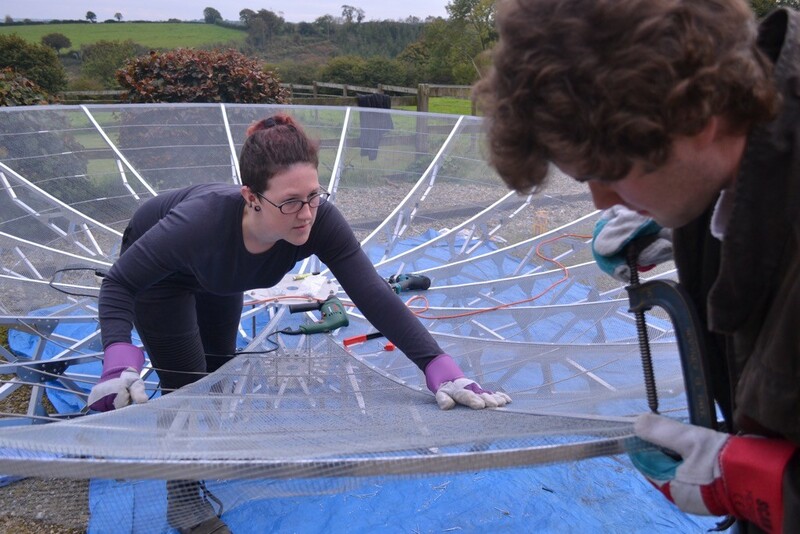 Freya and James carefully mounting the mesh to the struts of the dish. Good progress was also made with the stand. 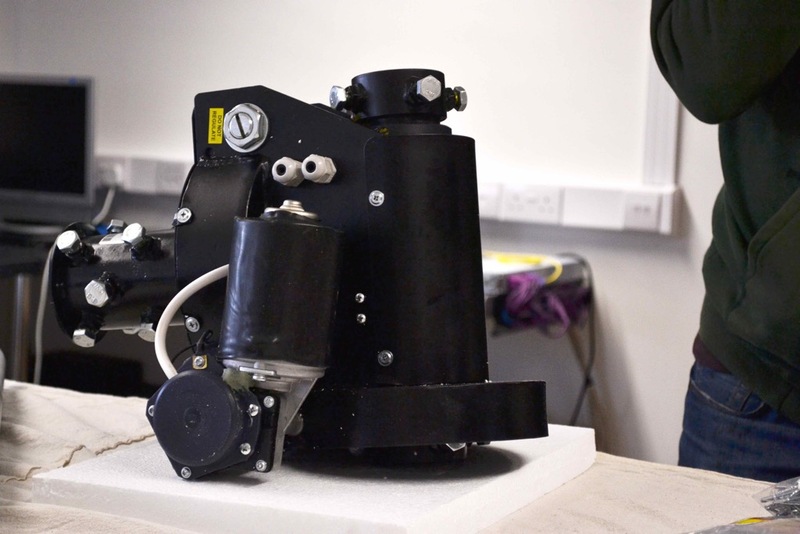 The motor was mounted to the top, quickly followed by the mounting plate. By the end of the day, it was ready for the dish. Mark and Freya atop the staging around the stand for the dish, fixing the nearly completed motor / mounting plate into its final position on top of the stand. Close to the end of the weekend disaster struck and the rivet gun stopped working 2 segments away from completing the dish. Because of this we had to safely store the dish. We’re currently planning to take another trip down this weekend and get it completed and mounted to the stand. At this point the major construction will be completed on the project. The concern at that point will be electronics and calibration operations. As an added bonus, here’s a short time-lapse of the team working on a couple segments of the dish.